September was another disappointing month for crypto investors and traders with the continued bear market. According to a new September Blockchain Industry Report published by OK Blockchain Capital on October 24, the crypto markets continued their downward trend in September, refusing to provide any relief to traders. About 5.19% of the market participants sat out of the markets during this period. Trading volume, however, did experience a rebound towards the end of the month. The report included an Investment Sentiment Survey that included a total of 16 questions, answered by about 212 participants. The questions asked about the investors’ income and position structure for the month, projections for the next month and next two quarters, monthly position adjustment plan, among others. According to the survey, about 25.47% of investors faced small losses while 23.58% of investors faced large losses in the market. For the next 24.53% of the respondents, the situation remained comparatively flat. Only about 3.3% of investors experienced large gains in the crypto markets. However, even with the downward price movements, 69% of respondents suggested that they are bullish on cryptocurrencies in the long term. 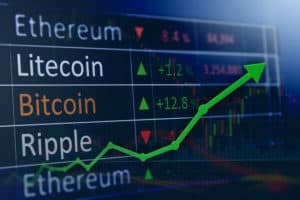 The top 3 cryptocurrency holdings among the participants were Bitcoin, Ethereum and EOS. Over 42.92% of the investors selected platform tokens as their largest holdings. According to the OK Blockchain Capital September report, one of the most important events of the month was the Ethereum “Difficulty Bomb.” In terms of policy changes, Iran’s approval of a new crypto mining law and the Bank of India’s appeal to cancel the cryptocurrency ban in the country were highlighted. Also, Japan and the United State’s push to promote crypto regulations was mentioned. The current trends in crypto investing were also highlighted in the report. For instance, 57.08% of investments were in platform tokens while 37.26% was in gaming. IoT, social media and finance took the next three spots with 33.96%, 19.81%, and 18.4% of investments respectively. 23.58% of Crypto Investors Had Large Losses in September, Reveals New OK Blockchain Capital Monthly Report was originally found on [blokt] – Blockchain, Bitcoin & copy trading cryptocurrency.